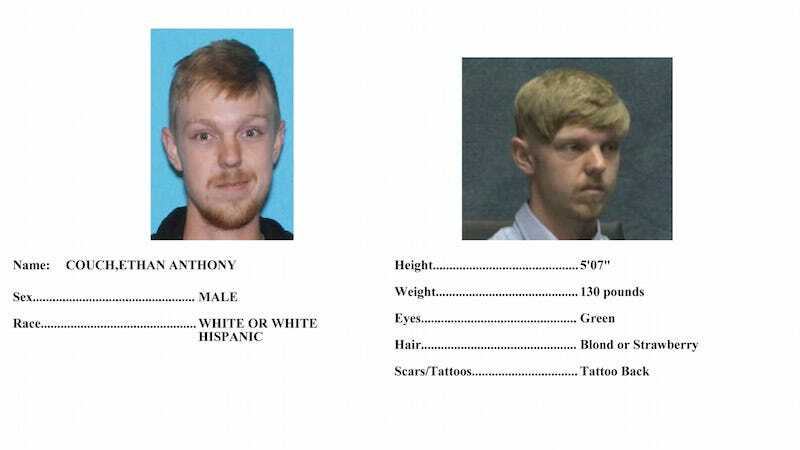 Affluenza afflictee Ethan Couch has been apprehended with his mother, Tonya, by Mexican officials near the resort town of Puerta Vallarta. According to CNN, Couch disappeared in early December, “two years after he made national news when he was sentenced to probation for a drunken driving crash that killed four people.” The cause of Couch’s recklessness was, apparently, “too much privilege” or affluenza. Such was his suffering that he was kept out of jail. Couch is wanted in Tarrant County, Texas, “for allegedly violating probation.” U.S. Marshals have been searching for him for weeks, and he will likely be turned over to them now. His mother was listed as a missing person in Texas after her son’s disappearance and is suspected of helping him escape.